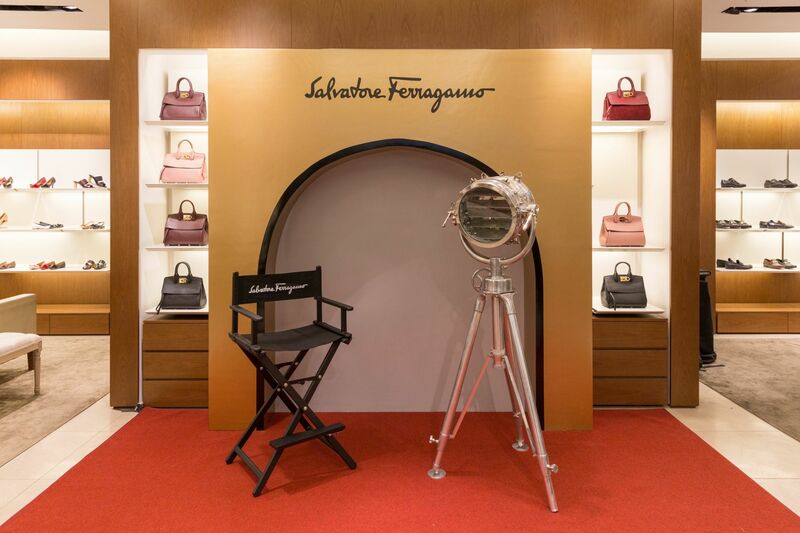 Philippine Tatler threw a fab soirée to launch Salvatore Ferragamo's brand new Studio Bag. The dress code for the evening stated "Hollywood Glam." More than 60 bag-loving ladies (and a handful of equally dapper husbands) showed up at the Greenbelt 4 boutique in their most fabulously glamorous head-to-toe ensembles—many even sporting their favourite Ferragamo heels and accessories! In between some healthy retail therapy, indulging in delicious canapés from Happy Ongpauco Tiu and sipping on champagne, GNTs and martinis, literally everyone cued up for a chance to be immortalised by photographer extraordinaire, Shaira Luna, with the red carpet-worthy, Hollywood-styled set design. Following Philippine Tatler’s Irene Martel Francisco’s warm welcome, SSI’s Mitch Suarez introduced the Studio Bag to the stylish lot. Three perpetually stylish ladies, Cristina Cu, Jessica Kienle Maxwell and Kathy Yap-Huang donned the season’s most covetable RTW Salvatore Ferragamo looks and at the end of the charming evening, a very lucky Duday Tuason won the raffle draw and got to go home with a Studio.